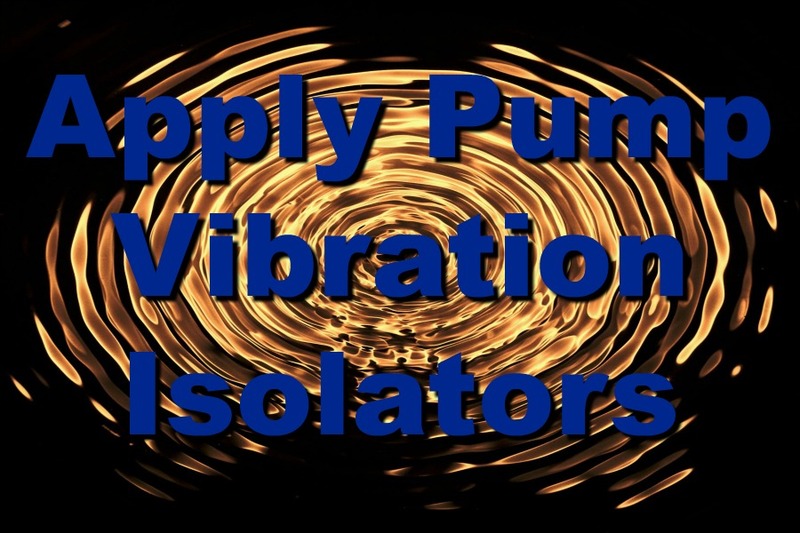 These properties are used in calculations for designing and sizing protective devices like vent panels and isolation valves. They are also important to understand during your Dust Hazard Analysis (DHA) to properly identify hazards. 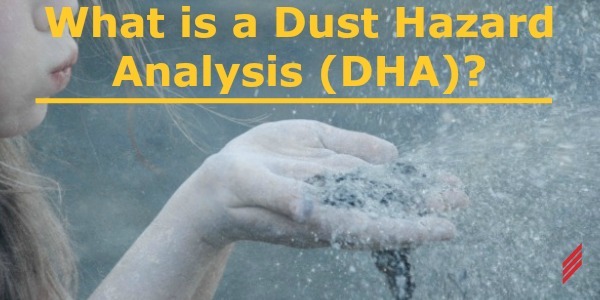 (You can learn more about DHAs in my previous blog What is a Dust Hazard Analysis (DHA)?) 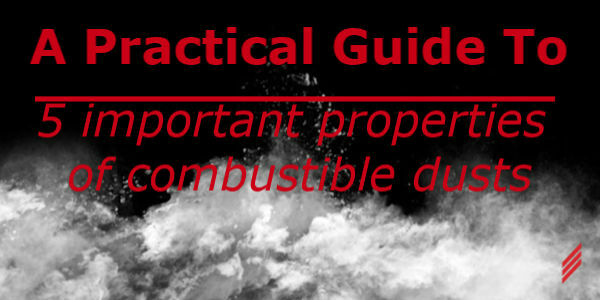 This blog will discuss five of the primary properties you must know to identify, understand, and mitigate the combustible dust hazards in your facility. If you are not sure if your dust is combustible, the first test that is typically performed is a “Go/No-Go” screening test. As the name implies, the test determines if the sample is a “Go” (combustible) or if it is a “No-Go” (not combustible). A way to keep this terminology straight is to remember a “Go” result means you need to “Go” ahead and have additional testing done to determine the properties discussed below. A “No-Go” result means the dust is not combustible and no additional testing is required, though you need to maintain documentation of these results in accordance with NFPA 652 Section 5.2.4 so they can be presented to the Authority Having Jurisdiction (AHJ) if requested. Assuming your dust is combustible, there are several important properties that can be determined with additional testing. Two of these properties, Kst and Pmax, are arguably the most important due to their use in evaluating or designing protection devices. 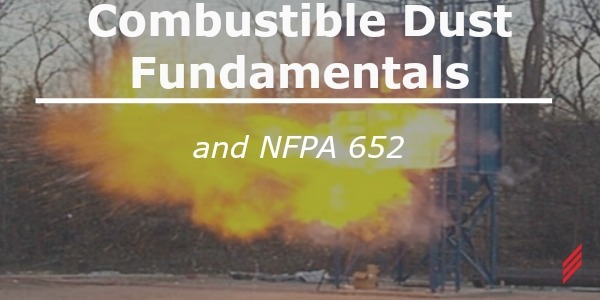 They are also the most common properties referred to when talking about combustible dusts. Other properties such as MEC, MIE, and MIT are important factors to be considered during a DHA and may also influence hazard mitigation techniques. 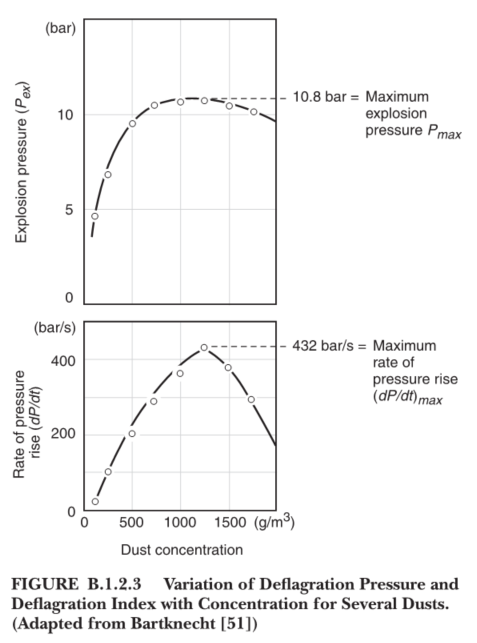 Kst is the deflagration index of a dust cloud and is measured in bar-m/s or psi-ft/s. It is calculated by multiplying the maximum rate of pressure rise times the cubed root of the volume of the test chamber. In simple terms, Kst is a measure of how fast an explosion happens. The higher the Kst value, the faster the pressure of an explosion will build. Dusts are categorized into Hazard Classes based on their Kst value as shown in Table B.1.2.4 below from NFPA 68. Pmax is defined in NFPA 68 as: The maximum pressure developed in a contained deflagration of an optimum mixture, and is basically a measure of how strong the explosion is. Tests are conducted with different concentrations of dust to determine the optimum mixture, or the dust concentration that will produce the greatest explosion pressure. Figure B.1.2.3 from NFPA 68 shown below illustrates an example of the maximum pressure and maximum rate of pressure rise from a series of tests at different concentrations. Once Kst and Pmax are known for your dust, you now have a very good idea of the characteristics of a potential explosion. You know how strong it will be and how fast it will happen. As a tangible example, imagine someone is going to punch you. If you know how strong the person is, and how fast they can swing their fist, you have a pretty good idea of how bad it is going to hurt. Minimum Explosible Concentration (MEC), Minimum Ignition Energy (MIE), and Minimum Ignition Temperature (MIT) are additional properties that are important to know during a DHA and when considering options to reduce combustible dust hazards. These properties (explained in greater detail below) help to determine the circumstances under which a hazard exists, and similarly at what point a hazard has been effectively reduced. MEC (Minimum Explosible Concentration) is the minimum amount of dust suspended in air that will support an explosion and is usually measured in g/m3. Many types of processes and equipment contain clouds of suspended dust under normal operating conditions, so it is vital to know at what level the dust cloud becomes hazardous. However, the MEC obtained from samples during laboratory testing is dependent on factors that can vary in actual production such as particle size distribution and moisture content. For this reason, 25% of the MEC value obtained in a lab test is used as the design value under which it can be assumed an explosion cannot happen. To clarify, if testing determines the MEC of your dust is 100 g/m3, any areas in your process or facility where the dust concentration exceeds 25 g/m3 should be considered as a potential explosion hazard. MIE (Minimum Ignition Energy) is the minimum amount of energy required to cause flame propagation when released at a point in a dust cloud. The primary use for this value is to understand your dust’s sensitivity to static electricity discharge as an ignition source. Dusts with lower MIEs are easier to ignite with a smaller (lower energy) spark. MIT (Minimum Ignition Temperature) is the minimum temperature required to ignite your dust and comes in two forms: MIT for a dust cloud, and MIT for a dust layer. MIT for a dust cloud is the temperature of the surrounding air required to ignite a dust cloud. MIT for a dust layer is the temperature of a surface where dust may accumulate that will cause the dust to ignite. These properties are critical to understanding hazards in your facility, especially if you have processes or equipment that operate at elevated temperatures. Having your combustible dust tested will determine important properties of your specific dust that are crucial to identifying, understanding, and properly mitigating the hazards in your facility. 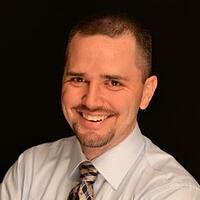 Kst and Pmax help to define how severe an explosion could be. MEC, MIE, and MIT help you determine what parts of your process or areas of your facility are potential hazards and define what must be achieved in order to reduce those hazards. If you have questions or would like more information about Combustible Dust Properties and Combustible Dust Safety, you can contact Chris directly via email at cgiusto@Hallam-ICS.com.